Isn't Valentines Day a fabulous idea? A day to celebrate love definitely gets my vote. 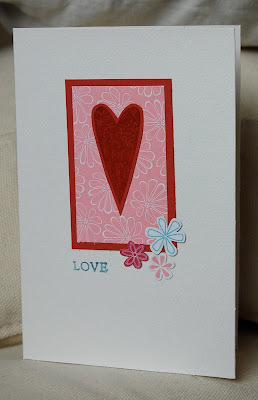 And it never seems to be hard to get inspiration for a love card. This is a card made from SU scraps. ...unlike me. Must dodder off to bed.